Good news! One of the most well-loved RPGs ever just got released on PC for the first time ever! Bad news! It’s apparently a port of the mobile version, without changes to the UI interface to suit a modern PC! You win some, you lose some. 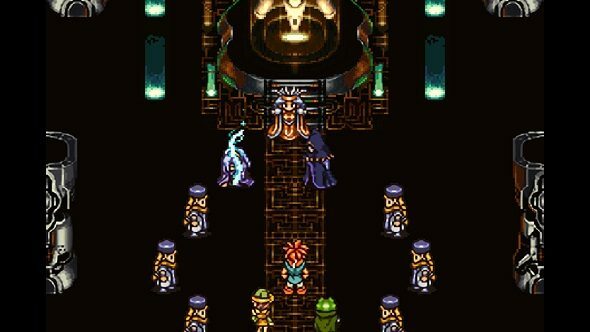 Here’s some more RPGs you might want to play which aren’t straight mobile ports. This has come out of nowhere, and nobody really expected this sort of thing – there hasn’t been a huge fanfare, it just sort of happened. Even the Steam page reflects this, describing it as a surprise. To some, it will be a welcome one! But as mentioned, this appears to be a port of the mobile version of Chrono Trigger, which itself isn’t hugely different to the original, except the interface isn’t nearly as good as you’d expect, and is optimised to work with your fingers – there’s no small, mouse cursor-sized buttons, just big, clunky options for my fat fingers. Until April 2, it’s also technically called Chrono Trigger Limited Edition, with a special Chrono Trigger medley, notes, and wallpapers included, after which it will presumably not include these extras. It has updated controls, graphics, and sound, too, and the announcement describes it as “the definitive version of Chrono Trigger.” Considering the current Steam user rating is mostly negative – 28% of the 66 reviews are positive – it’s unlikely fans will agree. If you do still want to play Chrono Trigger on your PC, it’s £11.99/€14.99/$14.99, and available on Steam now. Knock yourself out, if the concerns over it being a mobile port don’t trouble you.